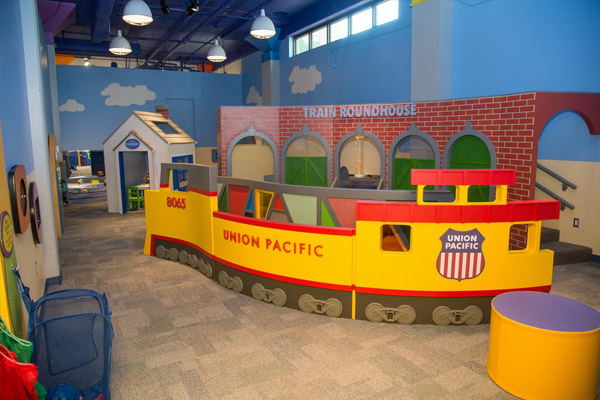 This kid-friendly, bilingual exhibit gives tots 35 months and under the opportunity for exploration, discovery, experimentation and wonder using all of their senses: touch, taste, smell, hearing and sight within distinct areas designed to develop critical thinking, problem solving, fine and gross motor skills, as well as oral language development. Tot*Spot is a safe environment which provides multiple opportunities for quality interaction between child and parent, and allows parents to have positive experiences with their child through play. Tot*Spot is a fun-filled wonderland of invigorating activities complete with a stroller alley for easy stroller parking. Tots will tinker with tot-friendly gadgets, meander along whimsical paths, climb in and out of oversized windows and doors, and experiment with multi-colored dash lights. Families are isolated in their own exclusive space away from the crowds and don’t have to worry about germs because the exhibit is cleaned every hour. In fact, no shoes are allowed in Tot*Spot, but shoe covers are provided. From the entry pergola, families get a 180-degree view of the exhibit and can spot where they want to start their joyous journey. Bubble tubes– Get mesmerized by looking at the bubbling water with the colorful balls as they consistently bubble up and down. Baby Haven– A lush padded area where babies can explore. Mirrors line the wall so babies and their caregivers can see themselves. An assortment of rattles and plush snugglies are located in this area for babies to discover. Crawler Cruise– A padded area for those toddlers who are not steady on their feet. The area includes a variety of different levels for crawlers to explore up and down. Toddler Walk– Toddlers who are just learning to negotiate the walking world can practice their moves on this physical/sensory pathway. The Toddler Walk is a slightly curved, raised pathway 15-20 feet long. 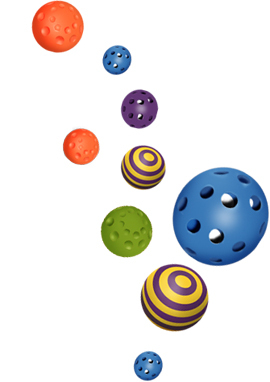 Balls, Balls, Balls – 2 padded “nest filled with a collection of balls of various sizes. Helix Car Ramp– Toddlers can push cars down the ramp and watch as they land at the bottom of the ramp. Everyday Wonders- Children slide, push, open, or flick various objects to activate sound, light, or movement as they view settings that show bear children and bear parents in everyday events. Are we there yet? Car and Pump– Children “drive” the convertible embellishing their ride by pushing pedals and buttons that activate car sounds and amenities such as the steering wheels, lights, dashboard map or horn. Adventure Climber- This climbing structure allows toddlers the opportunity to crawl or walk up steps to two different levels. This climber encourages children to use their gross motor skills to navigate up, down, in, out and around. Book Nook– Parents and babies cuddle up and read in this soft, comfortable area just for books. Light Tubes– Children experiment with color, pattern and shape while practicing eye-hand-coordination as they place the transparent rods in the holes. Doors- Safe child-sized doors allow the child to open and close, ring the doorbell, lock it up or just stand and look at the child in the mirror. For more information, contact Vandolyn Esparza, Alexander Specialist for Early Literacy Development and Special Learning Needs at 713.535.7206.